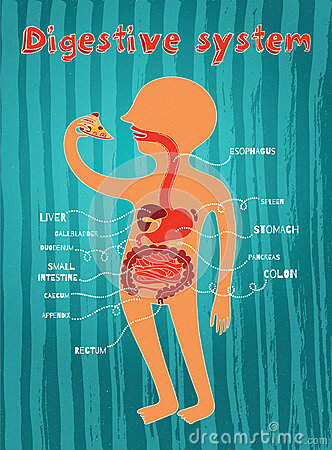 Human digestive system for kids. Vector color cartoon illustration. Girl body anatomy vector illustration.